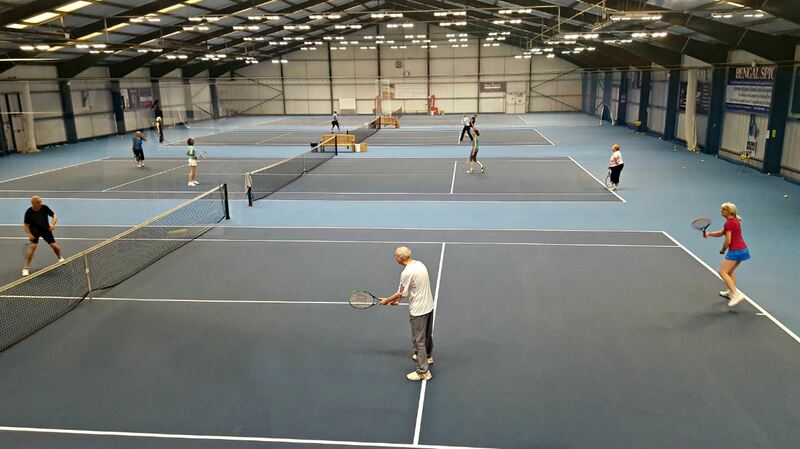 Thongsbridge Tennis Club can proudly claim to be one of the most progressive and dynamic tennis clubs in Britain. Watch out for our eblast with our weekend schedule where you can see some of our top tennis teams in action during the Summer. You can also come down on Monday evenings to watch the ladies and Tuesday evenings to watch the men in action in the Huddersfield League from the last week in April to the first week in August. A strong social core is the backbone to the club and a full range of adult coaching groups are run throughout the week with the emphasis on improving your tennis game whilst enjoying great company. During the summer season, from the end of Easter to the beginning of September, the club runs social events for adult members outdoors. Come down and enjoy some social doubles and meet fellow members. Sunday from 10am to noon begins on Sunday 21st April and Wednesday from 6pm begins Wednesday 17th April. Thursdays from 6.30pm run all year round. Details for social nights for our juniors can be found on our events page. Find more information on booking a court at the bottom of our facilities page. The club is committed to ensuring access to tennis for all and so it operates a Pay to Play scheme for non-members. 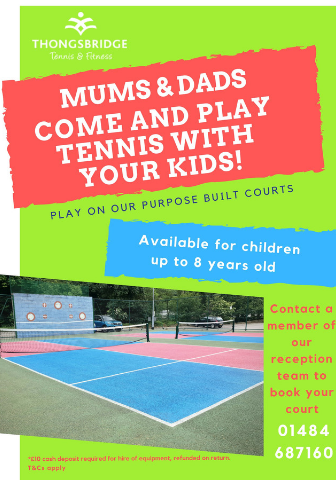 Parents can come along and play with their young children up to the age of eight on our mini courts. We require a £10 cash refundable deposit for the hire of equipment. For members wanting to play competitive tennis, an active representative team structure flourishes at the club. Club box leagues run all year for players of all abilities. There are a total of 8 mens, 11 ladies and a full range of junior and intermediate teams competing at local, regional and national league level. We also host an annual Club Championships tournament for members of all ages. The junior club championships are run over the weekend 7th and 8th September. The senior closed club championships is run over 2 weekends, Saturday 1st June and Sunday 2nd June followed by Saturday 29th June and Sunday 30th June . There are 7 different events which are played on a single day. Click the entry form below for more details including prices and dates. Don’t delay, the closing date is Monday 27th May 2019. The future of tennis firmly falls on our young players and with over 500 children, across a range of ages, enrolled on coaching programmes it is no surprise that a large part of our coaching is directed at the juniors. 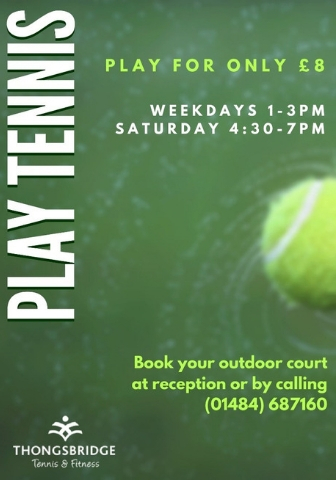 The junior development journey starts as early as 3 years old with Tiny Tots (please contact reception for new class times for Tiny Tots) and progresses through Red, Orange and Green stages of LTA’s Mini Tennis programme. As part of our outreach programme coaches visit all schools in the Holme Valley and further afield. The club benefits from a coaching team of 7, including a nationally recognised Head Performance coach, and provides high quality coaching tailored to meet your individual needs. The professionalism and approach of the coaching team has resulted in the club being awarded LTA performance status.